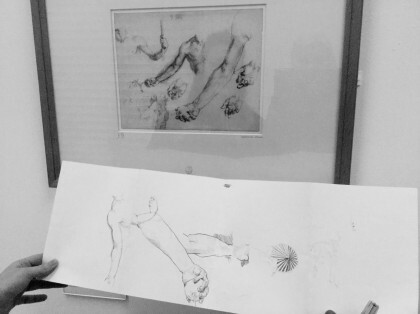 Initially, I invited the students to ‘take a meander’ through the exhibition and to be led by their instinctual response to various drawings, to have a visual experience rather than be led by the labeling…I then led an informal tour through the exhibition, and posed questions for discussion. 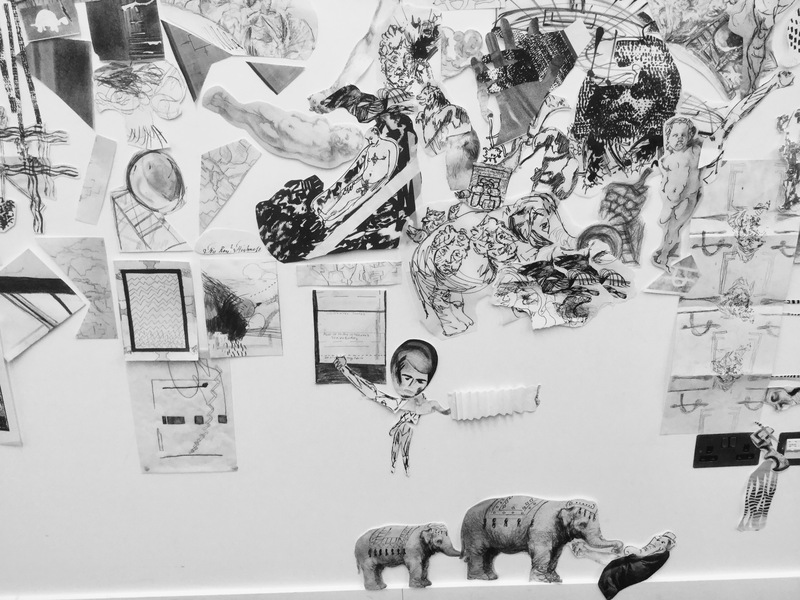 The exhibition was curated thematically rather than chronologically which presented really interesting juxtapositions across history, style and genre. My project idea was informed by the commonalities of drawing; the qualities of mark-making, drawing as thinking and as enquiry, analysis and investigation. 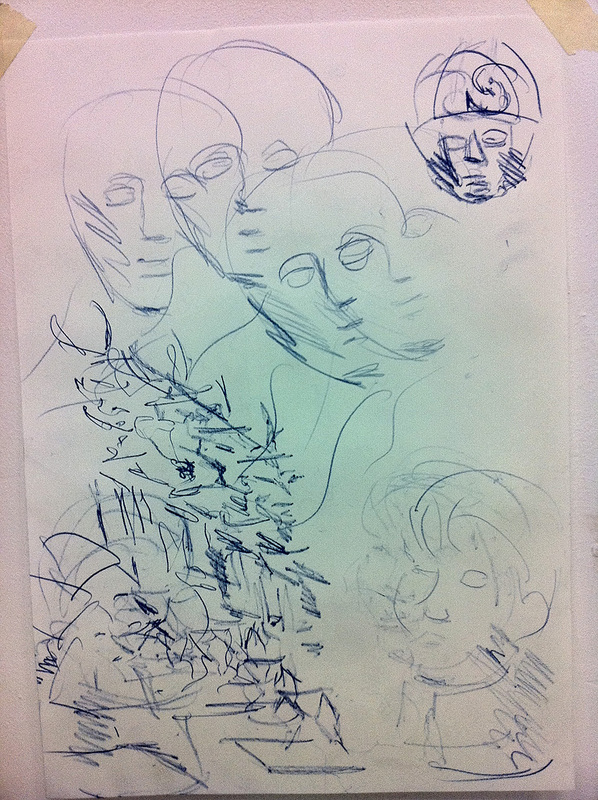 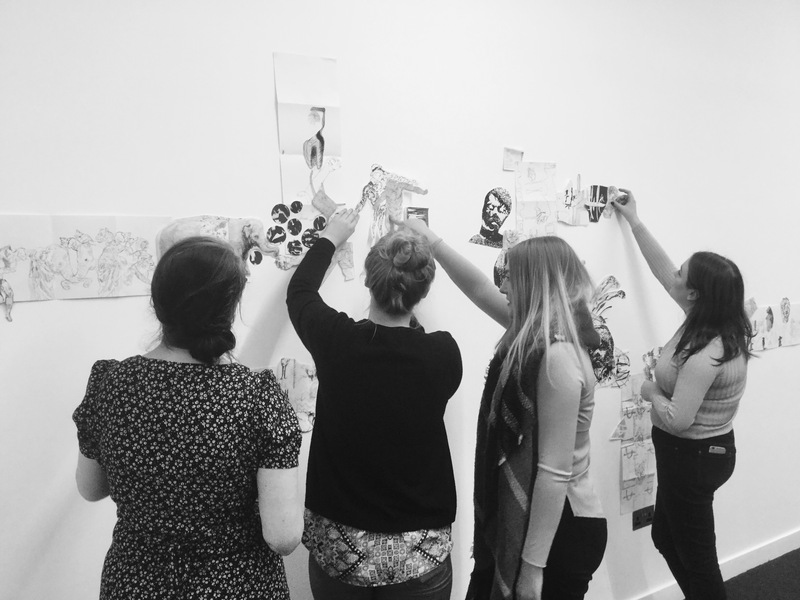 Students then worked in the gallery on a practical task that explored mark-making. They used a concertina format to make a kind of visual journey: fragments connected up from their selected drawings. 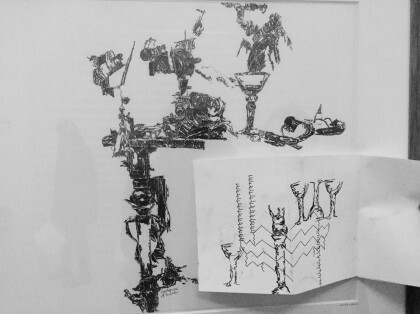 They had the option to either work freehand or to make use of carbon copy paper, tracing paper and photocopies to transcribe the drawings and to make use of conscious and intuitive decision making as well as considered as well as spontaneous processes. 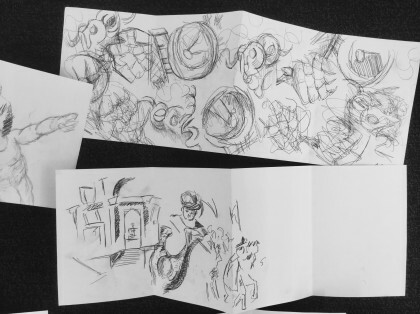 The speed of execution of this task was important to generate unexpected outcomes, much in the way brain storming functions as a stream of consciousness. 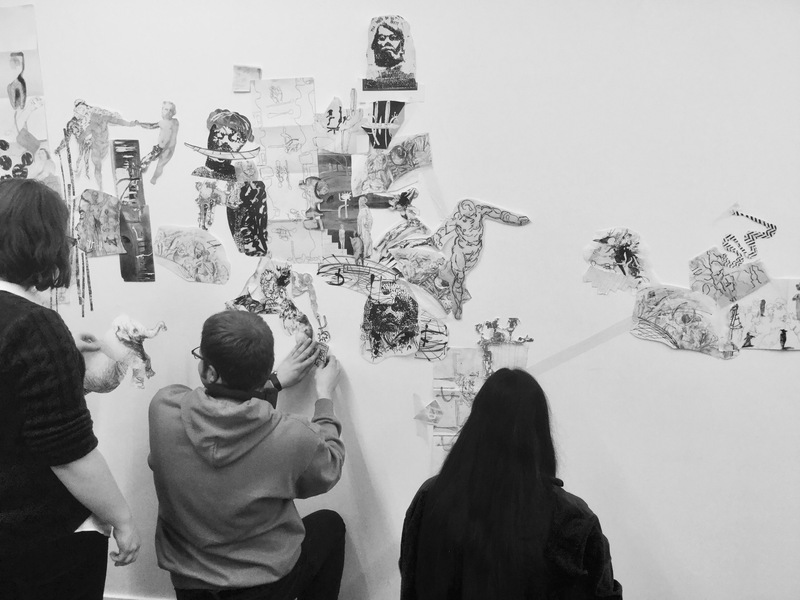 In this way, the students were encouraged to have a very direct and empathetic experience with the ‘hand of the artist’ through close association with the mark-making rather than with representation. 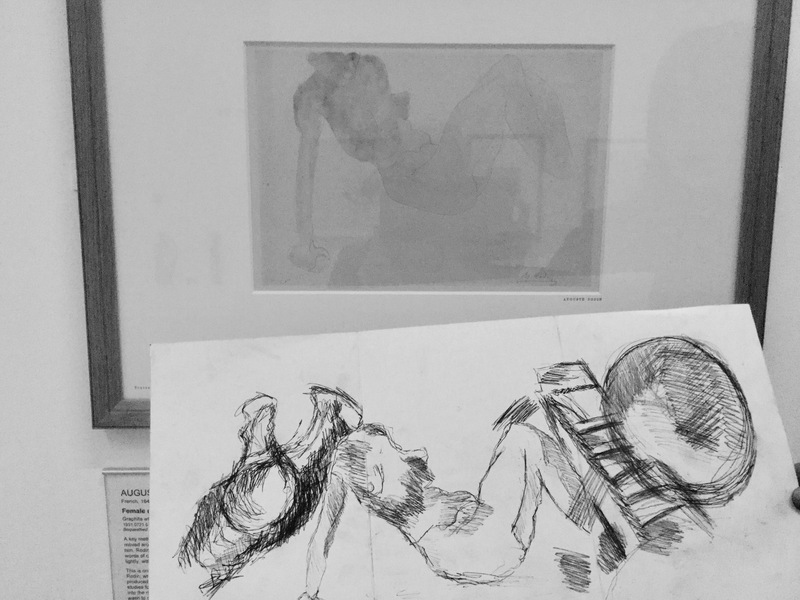 In this way, students who lacked confidence with their drawing were liberated from representation and were able to focus on just the marks, to reduce drawing to its essence, and to develop a very personal image. 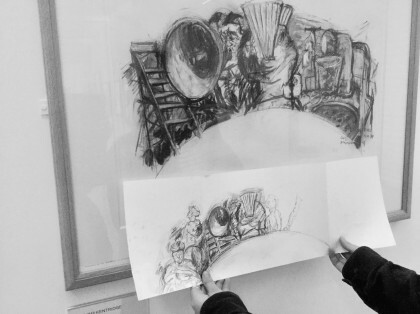 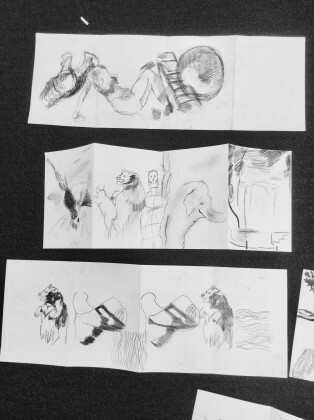 These concertina drawings then informed the collaborative project which took place in a learning space outside the gallery. 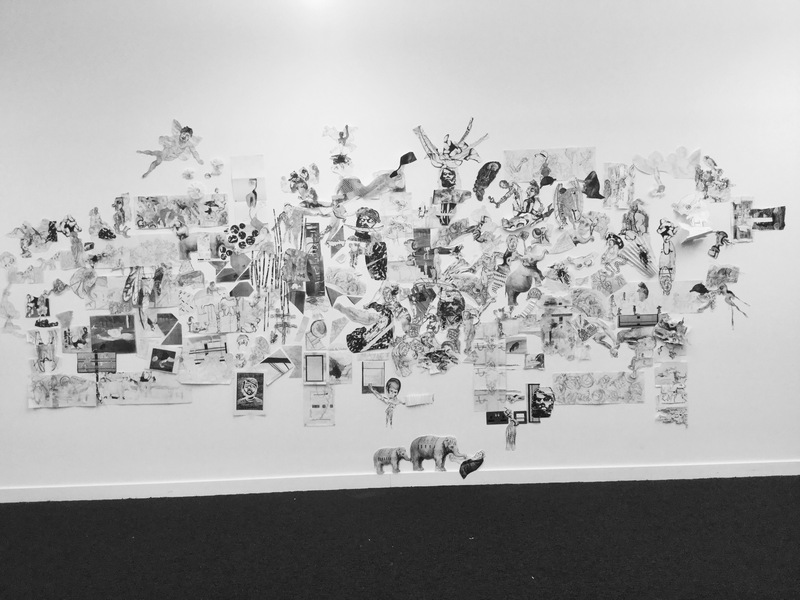 A large-scale collage evolved over 3 days, made by students from Fine Art, Textile, Illustration, Fashion and Animation courses. 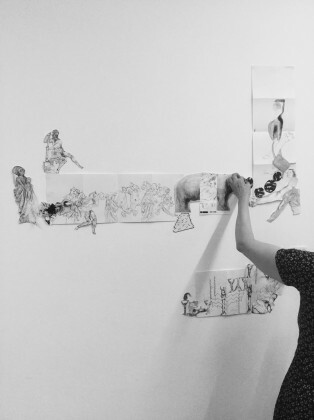 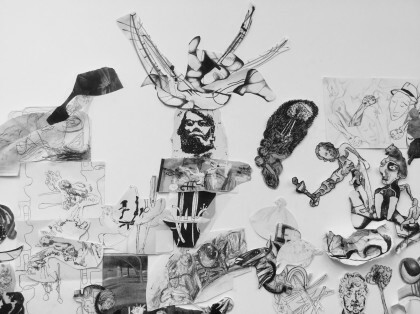 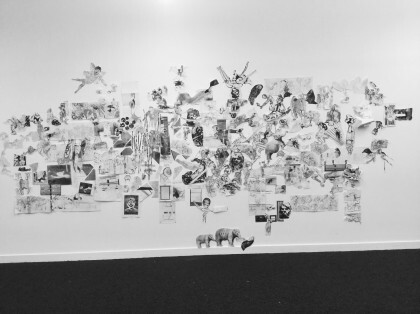 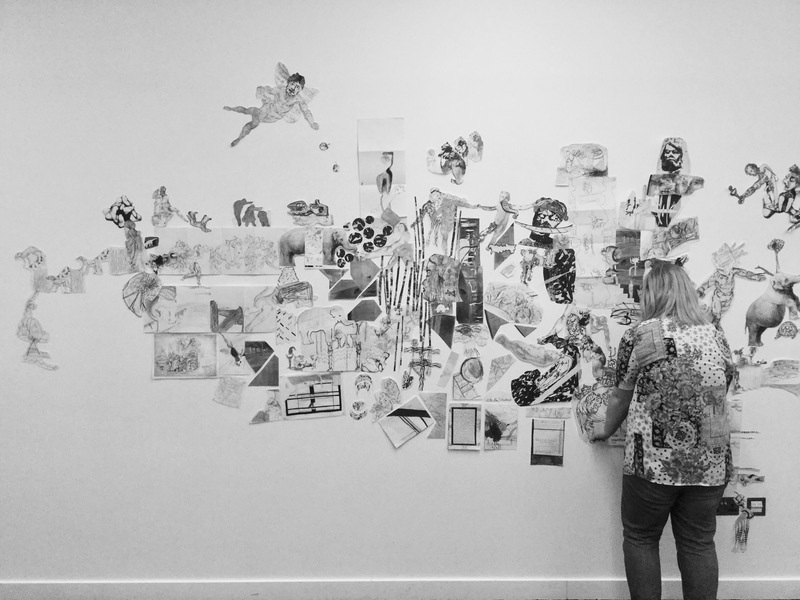 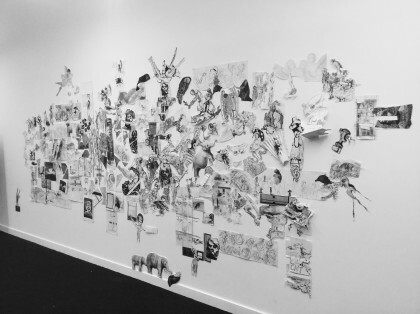 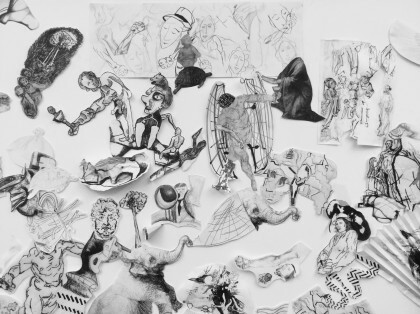 The students worked with photocopies, cut up and reworked with tipex, marker pens and pencil, and with their own drawings, to continue a visual journey across the wall: exciting new relationships and juxtapositions evolved between fragments to create unexpected images. This project was intended to engage students in the creative process: to make changes, revisions and retractions, deciding what to reject being as important as what to retain. 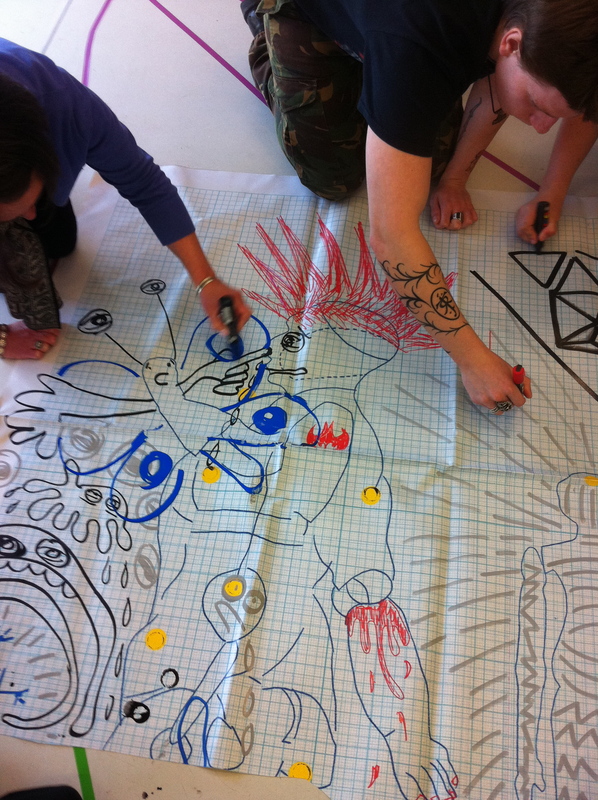 Working collaboratively with visual material placed by other people, encouraged associative thinking and the idea of drawing as a space to imagine and dream. 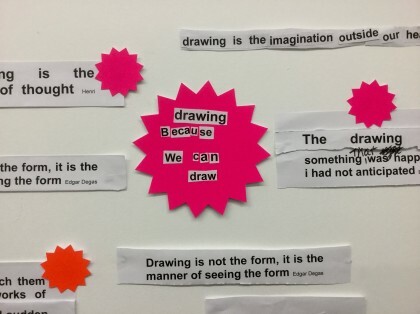 It also of course excluded the obstacle of being too ‘precious’ over drawing, to be open to chance and possibility and questioned any single ownership of the artwork. 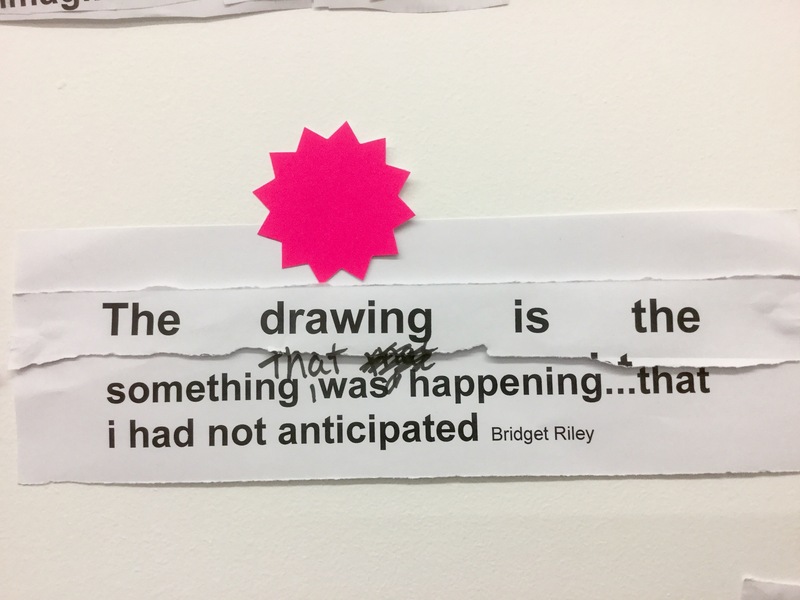 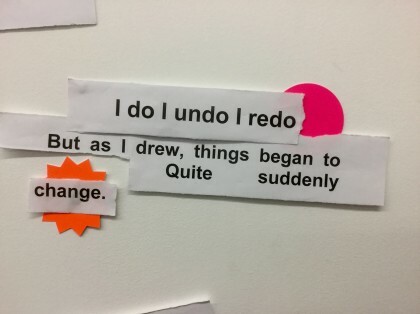 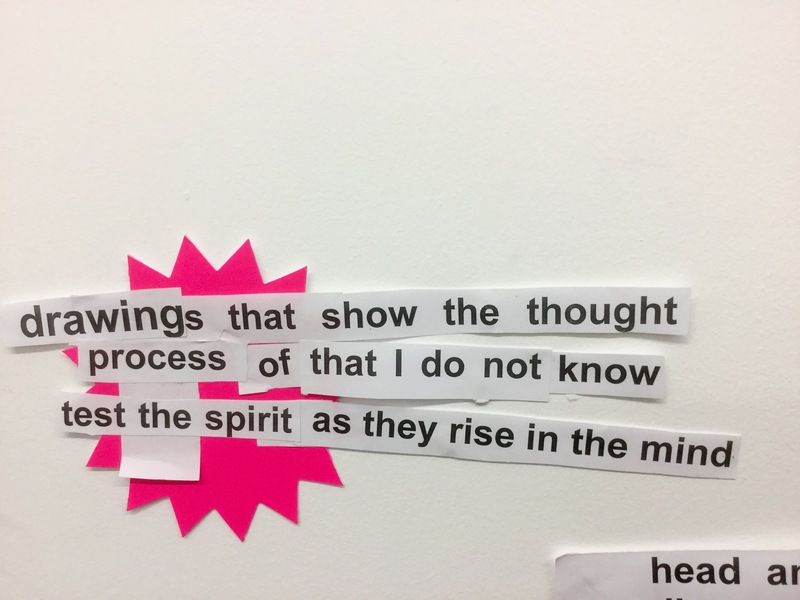 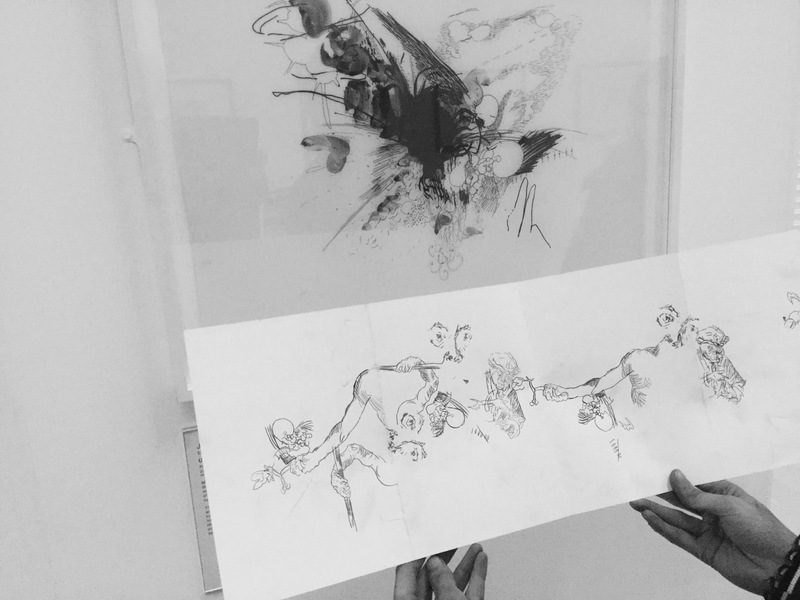 Finally, the students were presented with a number of artist’s quotes on the nature of drawing and were invited to deconstruct these to make their own statements in the way of ‘concrete poetry’. 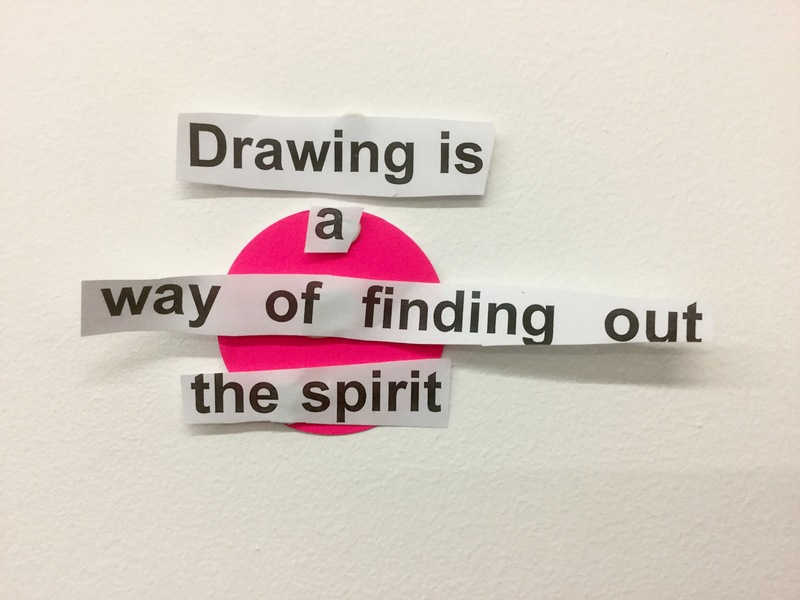 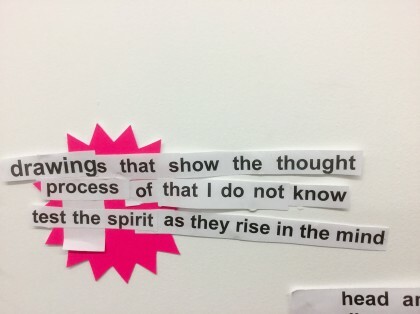 These words presented disparate poetic insights into the experience of and thinking around drawing.